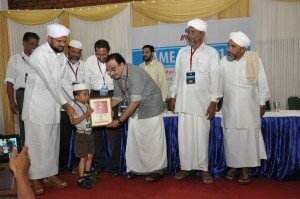 Moloor school manager Zainudheen Nizami receives Excellency Award for best English Medium School under All India sunni vidiabiasa board from Shaik Aboobaker Ahmad. Moloor central school proudly received an award for excellent school in Palakkad district. The moment seemed as a public acceptance for our institution. Honourable minister of electricity Sri. 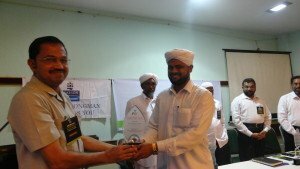 Ariadan Muhammed handing over the award to academy chairman Sayyid Ibraheem Khaleel Bukhari in Edu Summit conducted by Ideal Association for Minority Education. Honourable educational minister PK. Abdu Rabb presents the I.S.T.T.C award to school manager zainudheen nizami . 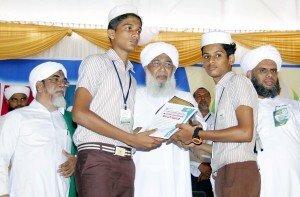 All India exam rank holders receives award from Shaik Aboobaker Ahmad. 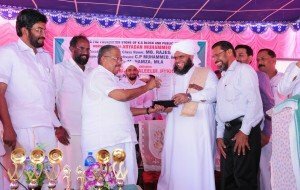 Kerala educational minister Abdu Rabb hands over certificate to Muhammed Ajas, 1st rank holder in all India scholarship examination. 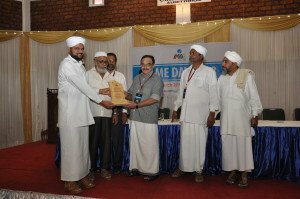 Institution manager Zainudheen Nizami receives an award for the best manager in the district from Calicut University V.C Dr.Abdul Salam.